Whiplash is the non-medical term for an injury to the muscles, tendons and ligaments found inside of the neck. The term is derived from its prominent cause, the sudden and forceful movement of the head as it is whipped forwards and then back in a car accident. Doctors and medical professionals may refer to the injury as acceleration flexion-extension neck injury or soft tissue cervical hyperextension injury. Depending on it’s severity, it may also be known as cervical strain, sprain, or hyperextension injury. Hyperextension can occur at any part of the human body where movements are controlled by ligaments and tendons. With a neck injury, the force of an impact caused the neck to move beyond what would be considered its normal range of motion. This hyperextension of the ligaments and tendons also causes strain to the muscles of the neck, resulting in inflammation, spasms, and pain in the area. What Can Cause Hyperextension and Whiplash in the Neck? Whiplash is most commonly associated with car accidents, especially those that are referred to as “fender benders”. The speed of the vehicle and the damage to the car have little to do with the extent of a whiplash injury. For this reason an individual will often require the help of an attorney to prove that the car accident was the primary cause of this painful condition. Sports injuries where contact with another player causes unnatural movement of the head such as in boxing. An object falling from above and landing on a person’s head. Sudden and sharp changes in direction at a fast speed, such as one experiences on amusement park rides like roller coasters. Non-acute whiplash sometimes results from a repetitive use injury. This is more commonly seen in work place injuries where an employee is using their neck to hold a phone for example. For work place injuries such as these, an individual should discuss their options for workman’s compensation with a qualified attorney. One of the symptoms of child abuse, especially shaken baby syndrome, is whiplash. This also can lead to more serious injury to the brain. The symptoms of whiplash range in both frequency and intensity. While some may feel only slight discomfort when moving the head, others will be dizzy, have radiating pain to the fingertips and even lower back pain. The prognosis will be dependent on the symptoms and severity of the injury. Minor whiplash that is treated immediately can be resolved in just a few weeks, while more advanced cases can take up to two months before the symptoms disappear. Severe cases of whiplash can result in a chronic injury and permanent disability. Surgical intervention may be required, but even then if there is damage to the nerves or discs of the upper spine a full recovery may never occur. Anytime you are involved in a car accident, even a minor one, you should seek medical attention immediately. 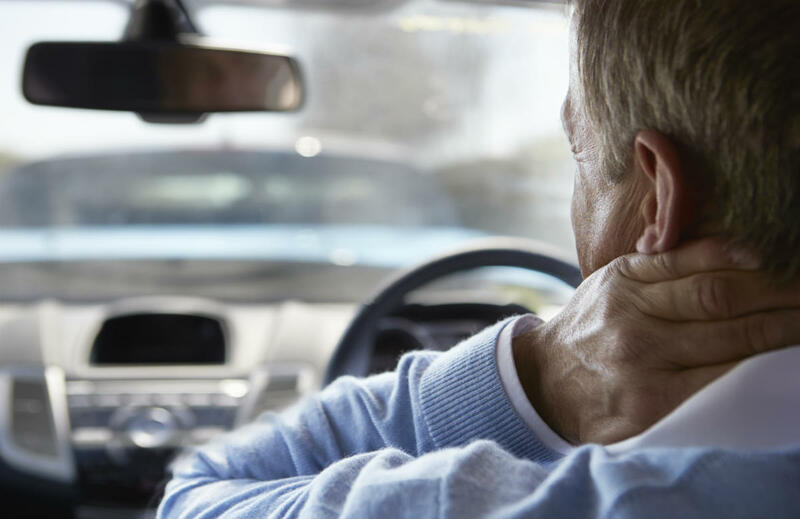 The symptoms of whiplash can sometimes take hours or even days to present themselves, increasing your odds of a long recovery time. If you do begin to feel constant pain or tingling in the neck region you should also speak with a doctor. This could be the result of repetitive hyperextension of the neck muscles. Whatever the cause, whiplash necessitates expensive medical treatments to be completely resolved. If your whiplash was the result of another individual’s negligence you could mitigate those costs with the help of a qualified attorney.